Unlike in other fields, an RPG writer reaches a professional level in the near complete absence of coaching, junior leagues, and "practice" -- particularly with regard to the design and implementation of conversations. The first point, about coaching, is the easier one to prove. I'm not a good basketball player, but to the extent I can play at all, it is because many better basketball players taught me, informally and formally, from the time I was very young. It's not necessary to be a professional basketball player to receive basketball coaching, and in fact totally inexperienced and untalented players receive coaching from relatively experienced and talented players all the time: for example, I received coaching, formal and informal, from a variety of college-level basketball players and one Olympic player, albeit before he played in the Olympics. The second point about "junior leagues" is harder to prove because it is undeniably true that a form of junior league exists in the modding community. But in other fields what you see is a very wide base to a very tall pyramid, whereas in the field of RPG writing what you see is a very short inverted pyramid, with the top (i.e., professional RPG writers) larger than the base (i.e., non-professional RPG writers actually producing playable works). Millions of children play full games of basketball, write short stories to be read or listened to by dozens, compete in math Olympiads, play clarinets at concerts, and so forth. The opportunities narrow as the skill level increases: fewer will play high school varsity basketball, and fewer will start; fewer of those who start will play college ball, and fewer of those will start; a tiny fraction of those will make professional leagues, and fewer of those will start. But there is no comparable winnowing going on in RPG writing. 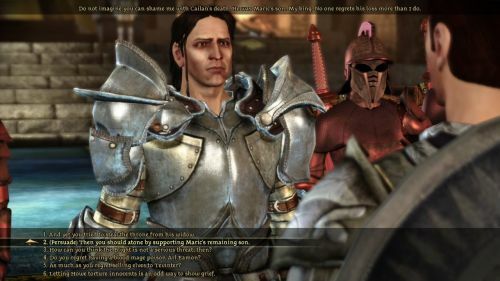 A guy like me basically goes from unsuccessfully making an amateur RPG to working on Dragon Age: Origins, albeit with a mostly irrelevant interlude at TimeGate in the middle. One reason for an absence of "junior leagues" is that RPGs involve many component other than writing. To make even a NWN module entails a number of additional skills (like map layout, encounter design, balancing, etc.). And you can't "play" at being an RPG writer by scripting once-off characters -- you need to build something larger and more complete. The result is that there are high barriers to participating in the kind of amateur development that could constitute such a junior league. Moreover, the junior leagues themselves lack coaching, rigorous feedback, and -- in many instances -- even non-rigorous feedback because most mods go mostly unplayed. I wrote the following in January 2017, and agreed to post it because I think sufficient time has passed to distance it from both "Darth Roxor on the State of RPG Writing" and the criticisms of the Torment: Tides of Numenera team. While those things were what prompted me to write this, I didn't (and don't) want to to debate the merits of either the editorial or the game. In any case, that same passage of time also causes me to doubt some of my conclusions and assertions, but I am leaving the piece intact because to bring it "up to date" would no doubt lead to wholesale rewriting, rather than retail revisions. Prompted by a variety of threads and by the recent editorial, I wanted to share some thoughts about RPG writing based on my experience, limited though it has been. As anyone who has read my posts on the subject will expect, my goal is to provide a theory for the shortcoming of RPG writing that is not premised on purported character flaws of RPG writers (laziness, vanity, ignorance, incuriosity, or greed) or on purported character failings of RPG management, which is to say, to penny-pinching or ax-grinding or dumbing-down or profit-chasing. I would proffer -- though of course I cannot prove -- that the RPG writers I've worked with are diligent, modest, well-versed, and thoughtful, and in almost all cases have forgone more lucrative opportunities, and that the management loves the games they are trying to make. Instead of a guilt-based theory, what I would offer is a theory of systemic failure. Specifically, I would blame three factors: (1) a tiny talent pool in a field that requires writers to perform in two distinct domains; (2) a lack of metrics to assess RPG writing that leaves those writers without useful guidance; and (3) a development cycle that leaves no time for revision. RPG writing requires an unusual mix of qualities that do not occur frequently in the population. There is no infrastructure to identify or develop these skills, nor are there incentives to encourage that these skills be deployed in service of RPG writing. For that reason, it would be ludicrous to hope for geniuses in numbers comparable to athletes, or mathematicians, or pianists, or painters, or journalists, or MOBA players, or fiction writers. It is thanks to dumb luck and passion for RPGs that there are good writers in the genre, and we should be pleasantly surprised, not outraged, at this outcome. 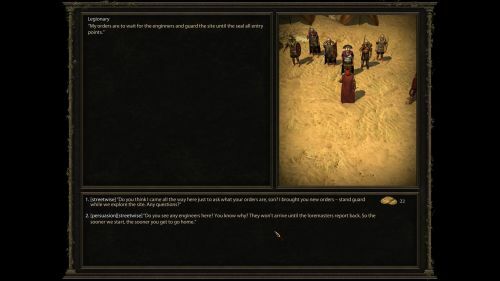 To write for RPGs with robust dialogue trees, one must be able to: (1) write compelling dialogue; (2) design an interactive, branching, reactive conversation; and (3) operate the software to implement that conversation. (Notably, I do not include world-building, plot-structuring, or character-invention in this skill set because I think those can be handled by different folks than the line-writers.) One must also want to use those talents in a job that is: (1) low pay; (2) low prestige; (3) very demanding; and (4) not given to individual virtuosity. One must also want to take such a job in order to write fantasy or science fiction video games. The number of people who fit the bill is very small. At the heart of the problem is that the job of dialogue writing and the job of RPG conversation design are extremely different; they utilize different mental processes, and each process requires both innate vision and trained craft. Moreover, it is not practical to divorce the writing from the structuring because as an end-product the two are symbiotic: only the writer can anticipate where his conversation will branch and flourish, where companions should chime in, and so forth. Trying to write within a scripter's "frame" is really difficult. Many talented writers on Torment tried it, and also at least one less talented writer (me) tried it, and as far as I know it never panned out well. I don't want to overstate this point. Pretty much every writer on every RPG since the 90s has managed to get the hang of the software. But unless you have a gift for structuring and implementing dialogue, the work is like running with a tire tied to your waist. It is endlessly unpleasant, at least for me, and even at the end, the pay-off is basically perverse satisfaction. In legal writing or in fiction writing or even in adventure game writing, most of my initial drafting happens while I'm in a kind of manic fugue state, and then I come down to do revisions and polishing. With Torment, the nature of structuring the dialogue meant that the writing was chunked into nodes and each node required a deliberative act. The fugue state was impossible. Every labored step was a conscious and conscientious act of discomfort. Further, the writing is particularly inglorious. The overwhelming majority of what you write consists of variations on a theme, on texts that most people will probably never see or notice, on imagining all the ways the player can set things awry in the dialogue. 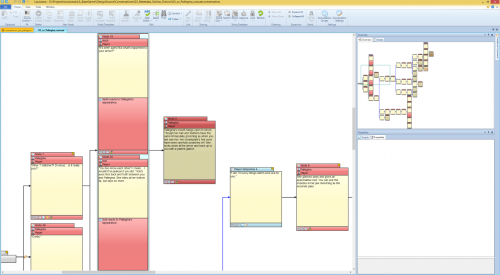 The writing is subject to a host of technical constraints (like characters-per-node) and style requirements. I think there is a reason why you don't see RPG writers stick around for long: most do three or four games, tops, before switching to some other role. Given that the job demands competence in two different fields of endeavor, given that the work is unpleasant, given that almost no one in the world thinks that writing fantasy RPG stories is prestigious, and given that the pay is worse than what one can make writing software documentation or teaching SAT test skills, there is a relatively high likelihood that many potential candidates will do more rewarding things with their lives. Let me be clear: I don't think that RPG writers deserve a tiny violin accompanying their tragic suffering. Obviously, the overwhelming majority of jobs in the world are terrible, far more terrible than wrangling OEI, and this job pays well above the poverty line. And there are plenty of people out there who, in a vague way, want to write for RPGs; it is a dream job -- though of course nebulous as dreams necessarily are. Nevertheless, the number of people actively seeking it out can't be that great, and the number of those who are realistic in doing so is even smaller. Anyway, for all these reasons, you are starting from a small group of possible candidates, in which the industry is forced to take not just the rightmost sliver of the bell curve, but something like the whole right half. Good for me as a writer, bad for me as a reader, I guess. What all of these factors mean is that the overwhelming majority of RPG writers will start out on professional projects without being seasoned in the craft. They may be good at writing in an abstract sense, and they may have a feel for RPG conversations from playing RPGs, but some of what you are seeing in commercial titles is the work of raw recruits. Of course, veterans take time to train and review that work, but the veterans themselves have writing responsibilities, so much of it is learn-by-doing -- you are seeing the equivalent of the failed Tolkien pastiche that some novelist wrote in college, rather than the third novel he wrote when such mischief was beaten out of him. But All That's Also True of Interactive Fiction Games, and They're Great! Old-school interactive fiction too (TADS and Inform, for example) also required a combination of verbal and technical skills, and yet there were dozens of people who made great IF games getting paid nothing at all. Surely this disproves my theory! Unlike penning amateur IF, working professionally on RPGs requires subordination, coordination, and cooperation. Fundamentally, you are a slave to the market, but you also have layers of human masters (minibosses, bosses, final bosses, true forms of final bosses), as well as colleagues whose work sometimes takes precedence over yours: area designers, encounter designers, artists, other writers, coders, even translators. Compromise is essential, and at the end of the day, some of what you're compromising with are crass commercial concerns. For example, in the barbarian class origin I wrote for DA:O (alas, my class got cut from the game -- proof of my mediocrity, no doubt), I was told that the protagonist couldn't be crucified because doing a custom crucified pose would cost too much animation time. A quarter of the dialogue I wrote for Kohan II was cut because of the costs of voice acting. "Do we have the resources to implement this?" hangs over every decision, even if it's never stated. In short, professional RPG writing is the antithesis of auteurial amateurism. As a result, I don't think you'll ever see something like the IF scene emerge in RPG writing, but perhaps I'm too pessimistic. Let me digress for a moment with some biographical details. In parallel to my efforts to be a game writer, I was also trying to be a fantasy fiction writer. From 1986 or so (when I first learned to write and code, neither very well) until 2005 (when I graduated law school), I spent much more time on fiction than I did on video game writing. I wrote about 40 short stories, two novels, and two children's books. Of these, I published two short stories at "professional" rates (25 cents a word, and 10 cents a word, respectively), another twenty or so for some negligible pay (ranging from 2 cents a word to $10 for the whole story), and a few more for no pay. By 2005, I'd worked professionally on Infinity, Blazecrafters (which was never released), Kohan II, Axis & Allies, Savage 2, and Dragon Age: Origins. In other words, while I "broke through" as a video game writer, I never did as a fantasy fiction writer. I'm sure most RPG writers are much better writers than I am; certainly that is so of the colleagues I've worked with. But I still think it's basically true that, as the result of the forces I describe above, RPG writers are closer to the Bad News Bears than the Seven Samurai. Now, the Bad News Bears practically manage to win the tournament! And I'm pretty sure in sequels/remakes they do win! Eccentric weirdos with heart really can make incredible things, but that happens through a mix of passion, hard work, and luck in spite of a structure that makes success unlikely. That's why the success is so compelling when it happens. The surprising thing to me isn't that most RPGs aren't up to the level of Planescape: Torment, Arcanum, Fallout, Mask of the Betrayer, or Bloodlines -- it's that those games exist at all! The surprising thing isn't that a mediocre writer like me falls short of the level of Avellone or Ziets or McComb, it's that those guys and others have risen to that level. Now, with that bit of cheer, let me move on to two other reasons why RPG writing is doomed. How is an RPG writer to measure the quality of his own writing? In an immediate sense, he measures it by the feedback he receives from his higher-ups or peers. For junior writers, dialogues will typically be reviewed by senior writers (at least early on) -- everything I wrote for Torment was reviewed by Adam Heine, at a minimum, and often by Kevin Saunders, Colin, George, and others. More senior writers will still have their writing reviewed by leads or area designers. And in a healthy project, everyone will share feedback with each other as they play through builds, though as crunch time begins this inevitably drops off. But this metric is circular because "an RPG writer should measure the quality of his writing by asking other RPG writers to measure it" begs the question of how an RPG writer should measure the quality of someone else's writing. 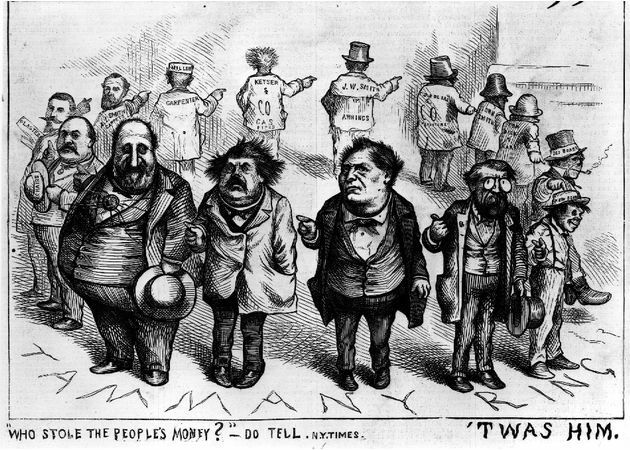 Ultimately, there needs to be some kind of yardstick, not just a Tammany Hall buck passing. The old truism "I'll know it when I see it" is sort of right. Generally a decent writer will have an intuitive reaction to writing on a node-by-node, sentence-by-sentence, or word-by-word level. But the heart of RPG writing is not the node-or-smaller level execution, but the overall structure. Should conversations be long or short? How many options is too many or too few? Should dialogue choices be ordered according to consistent logic (as in Bioware games) or have organic chaos (as in Arcanum)? Should NPCs be romanceable? Should the game offer broad and deep lore that goes beyond the four corners of the player's adventure? Should dialogues include prose elements like description, or just the spoken word? Should paraphrasing ever be used (i.e., "He tells you that X, Y, Z happened" rather than "He tells you 'X, Y, Z happened")? Should there be a narrative voice or should any narration and description be neutral and detached? Should characters speak in the "high mimetic" heroic mode typical to fantasy until 30 years ago, or should they speak naturalistically according to modern diction, as is more common in the grimdark fantasies of today? Should stories be epic or personal? Should NPCs invite you to opine on their moral quandaries? Are more words better or are fewer more careful words better? How predefined should the PC be? How active and interactive should companions be? It is tempting to answer these questions "it depends" but that is itself question begging... it depends on what? There are a few places an RPG writer can look to guidance. One is to the classics. Another is to critics. Another is to the market. Another is to exogenous influences (like contemporary genre fiction and televisions). But I submit that none of these provides the necessary yardstick. Unlike Tolstoy's happy families, well-written RPGs are more different than they are similar. 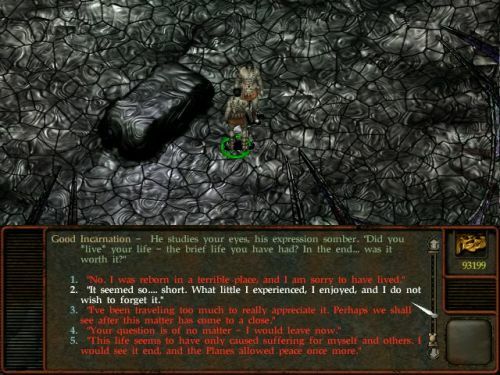 Taking my own favorites, and supplementing a bit with games that have others' esteem, I'm comfortable saying that Planescape: Torment, Fallout 1, The Sith Lords, Mask of the Betrayer, Bloodlines, Arcanum, The Age of Decadence, The Witcher, and Betrayal at Krondor would be a credible list of well-written RPGs. What rules can someone derive from these games? What standards? None, I say. One simply cannot distill from these games essential answers to the questions posed above. Take the predefined PC. At one extreme you have The Witcher, at the other you have Arcanum. Neither is an outlier; the other games fall in a well-distributed continuum between those poles. What about companions? At one extreme you have Fallout at the other, perhaps, Betrayal at Krondor or Mask of the Betrayer or The Sith Lords, and again a continuum. Mask of the Betrayer, the Sith Lords, and The Witcher, and even to some extent Torment, heavily feature romances. Others do not. The tonal voice of the game varies -- MOTB is in the "high mimetic" register, while The Age of Decadence is in a modern register. BAK, PS:T, and AOD feature prose-type flourishes in different ways, but these are mostly absent in The Witcher, Bloodlines, Mask of the Betrayer, and The Sith Lords. Other differences abound. In Betrayal at Krondor, there isn't any main character. Arcanum and AOD seemingly have similar philosophies in terms of reactivity, but Arcanum's conversations offer a huge number of choices while AOD's frequently have multiple nodes in a row in which only one "choice" is offered. AOD's main character is defined by the player, but the dialogue choices have a very idiosyncratic voice; The Sith Lords has a relatively defined character, but the choices are generic in voice. 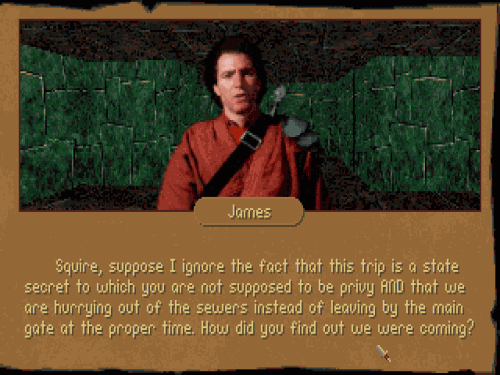 Arcanum and Fallout feature very broad fourth-wall breaking humor; Mask of the Betrayer is extremely serious. Bloodlines and to some degree The Witcher have very "cinematic" dialogues, while The Age of Decadence has extremely plain dialogues and Krondor, which is unusual, uses book-like dialogues. And so on. At least to me, unlike with genre fiction, no formula or rules emerge from studying these games. To be sure, you can mumble stuff about a close connection between systems and narrative and things like that, but I'm skeptical. NWN2 is awful, awful, awful in every systemic way, but MOTB works nonetheless. It's not obvious to me why a personal story like PS:T's would be best told through an isometric point of view, or how Fallout's dialogue meaningfully engages the SPECIAL system. To be honest, I can't come up with any logic to why some RPGs' writing is good while others' writing is not -- the answer seems to be the Calvinist one that some people are predestined to write good RPG dialogue, and to everyone else, hellfire. It is, of course, always good to consume good works of art, especially for an uncreative mediocrity like me. When I create, what I'm really doing is Frankensteining (or bricolage to be highfalutin), and the more I can fill my meat wagon with good parts, the better. A writer can -- must -- learn by reading. But there aren't really that many great RPGs out there to read. So you can't immerse yourself in decades of classics the way you can if you want to write a space opera story or a spy story or a Western. And when you wet your feet in the shallow pool, the osmotic effect turns out to be not that great, anyway. I have noticed people on the Codex lament the lack of an independent, talented body of computer game critics akin to Aaron Sorkin's fantasy of critics in some other genre. I too weep, but our tears are in vain. Let me begin by noting that video game criticism is inherently trapped in the basic cycle of being low prestige, thus being unable to attract fancy critics, thus remaining low prestige. In other eras, perhaps this problem would slowly have rectified itself, but what we have witnessed over the past twenty (? fifty? hundred?) years in every medium is critics wrecking themselves, not critics advancing their craft. Do you think that film criticism is getting better or worse? Political criticism? Art criticism? How long has it been since The Painted Word was written? Have things gotten better or worse since? In short, I think the notion that there will ever be a learned but sane academy of game critics is wishful thinking. But aside from this glum prognosis about the world, there are problems peculiar to RPG criticism that make it especially unlikely that professional critics will be useful. Games are different: depending on how you play them (such as whether you consult a walkthrough, whether you seek out secrets, whether you test different paths), your time with them can be longer or shorter. And games, especially RPGs are much longer than other media. Moreover, many of the things that make RPGs best -- true choices with meaningful consequences; different paths available to different character builds; a sense that NPCs are responding to your character -- are not apparent in a cursory playthrough. To meaningfully criticize Arcanum would not require twelve hours of playing it, but perhaps upwards of a hundred. Or more. Who knows? To me, there are basically three relevant forms of game criticism: the review, the think piece, and the nostalgic think piece. Reviews have a very narrow window to be released in order to get significant readership. The window is a bit larger for think pieces, but not that large -- for example, the guy who runs Indiefence, probably the best adventure game site on the Internet, mentioned recently that essentially no one was interested in his analysis of Broken Age's second chapter; he waited too long, and people moved on. Nostalgic think pieces have their own problem: their very nature tends toward the elegiac and uncritical and personal. Basically, I think there is no way for a critic to meaningfully engage with an RPG and produce criticism of it quickly enough for people to care. As a consequence, you will never see a professional criteriat capable of meaningfully assessing RPGs according to the "news cycle." Game critics rush through games, and wind up with a "Pepsi challenge" view of what they've played. That is especially true of RPGs. Critics aren't incentivized to savor and study RPGs; they play them in a different way from customers. And RPGs are unlikely ever to reach a level of consistent acclaim as to receive worthwhile academic criticism (if such a thing could be found). But if thoughtful professional critics were to come to RPGs, would you want it? To paraphrase a line from Star Control II that I've always liked, "Interactive fiction showed itself, and critics noticed it. There is no interactive fiction now. Only Twine." [MRY's Note: Since I wrote this, I've come to wonder whether this line is entirely fair -- Emily Short, who I trust implicitly, has written that there is a profusion of great IF these days, including via Twine.] The idea that sustained critical attention from fancy critics would improve RPGs may itself be misplaced. What critics want from the object of their criticism is often a mix of subtlety, transgression, and novelty -- the things that place a critic in a privileged position compared to others. Critics, like viruses, may transform their host so that it produces an environment in which criticism thrives, even at the expense of health and vigor. It is not at all clear to me that this is what the Codex wants in its RPGs, or what anyone really wants generally. It's not what I want. I'm a man who favors the middlebrow: brown Chinese sauces, beef brisket, sentimental music, uplifting movies, novels that I can understand. PS:T is already near the limits of the sophistication I am likely to enjoy in an RPG. Despite this general gloom regarding criticism, I do think that there are some glimmers of light here, including the Codex. There's a reason why Roxor's PoE review was passed around among the Torment team as useful reading. But the Codex often makes it difficult for non-Codexers to find the site's insights, which are mostly buried in threads that contain more radioactive waste than gold. Only a neurotic masochist can take the time to learn much useful, and he may, like a prospector in the Glow, come away permanently sickened. But lay criticism is not, overall, a good source. The overwhelming majority of such criticism is either unadulterated adulation or bitter bile, and neither of these is very helpful. Depending on which palantir he consults, a TTON writer would get totally different feedback on the game. Identical factors are praised and hated in equal, unhelpful measure. And often people publicly criticize the very things they secretly enjoy, or publicly praise the very things they actually dislike, depending on how vocal the consensus is. In short, there are few sages to consult. I find myself running out of steam, and I suspect this point is fairly obvious, so I will be brief. It is totally unclear whether an RPG like Fallout 4 or Bloodlines succeeds or fails because of its writing or in spite of it. Now, I know you guys would all conclude "in spite of," but the whole point of the market is its democratic nature. If a writer is trying to figure out what the populi enjoys, the market can, in theory, help. But in practice, it can't help with RPG writing. The problem is that RPG writing plays a relatively small role in why people buy RPGs. For example, people have told me for years that Driftmoon is well written, but there's no way I'll ever try it because of its unappealing visuals and gameplay. Brand awareness, audiovisuals, non-dialogue gameplay, marketing, and sheer fortuity all play a big role in whether an RPG succeeds. If there were a thousand RPGs a year, and somehow customers knew what each one offered well enough to choose among them, it might be possible to isolate the writing variable from the others and use the market as an experimental laboratory. But there aren't, so it isn't. As I have written about elsewhere, I think exogenous influences are critical to game design. I also think they are critical to good writing, generally. Lawyers should read fiction; novelists should read histories; etc., etc. But in terms of the structuring of RPG conversations, even in terms of writing the dialogue itself, exogenous influences can only take you so far. I probably could write an entire ramble on this subject alone, but since I have gone on too long already, I will keep it short. There is a reason why good games make such terrible novelizations and movie adaptations, and that is because so much of what is going on in a game is not the telling of a linear story. RPG dialogue needs to be engaging the player as a player rather than simply as a reader. To be sure, many books or movies invite the audience to "play" with the story, to try and figure out its mysteries or themes. But the audience is not asked to make decisions. In RPGs, by contrast, each conversation node is supposed to provide the player with at least some data useful in making a decision -- perhaps an immediate choice in that very conversation, perhaps some strategic decision later on. Moreover, in static media, the conversation is driven by the predefined characteristics of both interlocutors, but in an RPG, the conversation needs to be designed to engage with a variety of very different character builds and player goals. In short, while, say, Lajos Egri's advice in The Art of Dramatic Writing isn't irrelevant -- indeed, it's highly useful -- it's not squarely on point. So reading or watching good dialogues in books or comics or films won't necessarily give you a sense how to structure or write a good RPG dialogue. It won't hurt. And it may give wonderful high-level inspiration. But it doesn't provide the Holy Grail for which, paragraphs and paragraphs ago, this quest began: a metric by which to judge RPG dialogue. The bottom line is that RPG writers basically have to make gut-level judgments about who and what to trust, without any empirical basis for making that decision. In practice, I suspect that means that most writers just tune out the third-party feedback and rely on internal mechanisms (like peer feedback). But, as I noted, those mechanisms suffer from their own limitations. Most writers must simply plod along, hoping that skills are improving by use and that the hard road is leading at least vaguely in the right direction. The tl;dr crowd can breathe a sigh of relief; my fingers and mind grow weary. The problem with writing the now-standard kind of RPG dialogue is that it takes so long that it is seldom finished far in advance of whatever the final hard cut-off date is (localization, vocalization, shipping, whatever). Only in journalism, I think, is there the same compression of writing and publication. In other media -- in my experience, in legal writing, in fiction writing, and in academic writing -- revision is critical, and often takes as long as the writing itself, if not longer. One major aspect of revision in other media is that it happens at the end. To be sure, writers revise on the fly. But when the piece is done, editors (including the author) read it from start to finish and make considerable changes. Another draft is produced, and the process begins again. Then you have polishing drafts -- your tool slowly goes from a hacksaw to fine-grained sandpaper. For important pieces of writing, I've had more than 20 or even 50 rounds of revision. This is simply impossible with RPGs. There is too much text, it is finished too late, and it cannot simply be "read" because often how it works is not apparent without playing it, and playing it in context. Of course, individual conversations are reviewed as they come in. And sometimes they are reworked quite a bit. There are conversations in TTON that had 40+ versions in Perforce. But I am skeptical that it is possible to undertake major revisions, let alone multiple major revisions, once the whole game is written. In essence, the nature of the beast is that by the time the writing is done, there is no time to edit it. It would be like tearing down a house after it was built because it turned out to be not quite what the builder wanted. To some degree this could be dealt with by reducing the amount of text, but I doubt the text could be reduced enough (in the kind of RPG we're talking about) to make such revisions feasible. Thus, I think that an inherent feature of narrative, dialogue-heavy RPGs is that they are immune to the rewrites and structural changes that you would tend to see in other written works, despite the fact that editing and iteration are critical to good writing. I think there are some people whose response would be that this is an argument to return to the much slimmer text of RPGs before the mid-90s and to focus on other means of story-telling than dialogue. That is a whole other debate, and one that's a little hard for me to wrap my head around because it is at least a little bit like saying, "If you find fantasy novels too long-winded, you should just watch fantasy movies." There obviously is a huge swath of players who like dialogue-tree-based RPGs, and so I think trying to abandon the form altogether is probably not a great idea. We should be pleasantly surprised by the few well-written RPGs we have, rather than vengeful at the rest. By this, I'm not suggesting that people should accept mediocrity or withhold criticism of RPG writing. To the contrary, as I said above, I think the Codex's criticism is a glimmer of (radioactive) light that can provide some guidance to RPG writers. But I think it would be a brighter light if, rather than focusing on what went wrong behind the words, the focus was on what went wrong with the words themselves. There isn't a villain in this story, nor will this story ever feature heroic champions saving the day. We are stuck with hard-working, passionate writers who are neither wicked nor superhuman. You'd probably enjoy chatting with them over a beer. They are doing their best to write dialogue for the kind of games you enjoy, but perhaps that best is not good enough. They may be failing, but I don't think it's because management is directing them to dumb things down, or ideologues are looking to shoe-horn their agendas into the dialogue no matter what harm it does, or writers are too lazy to do what they ought to. I think it is because the task is very hard and the overall system does not consistently produce, identify, or nurture geniuses who would be able to easily take that task on. Anyway, it's by no means the job of fans who pay money to subsidize others' dreams to also spend their time providing free assistance. But if you're going to undertake the work anyway, I think that the more concrete and specific the criticism, the more useful it is. I don't think that grand theories are particularly helpful, though perhaps the right grand theory just hasn't come along. In contrast, "practice tips" that are straightforward are tools that writers can and will use, and perhaps, incrementally, RPG writing can move in the right direction. In sum, my work on Torment is terrible, and I have written a whole treatise to explain why, and you poor saps read it, just like you're doomed to read my Torment Meres. So it goes.